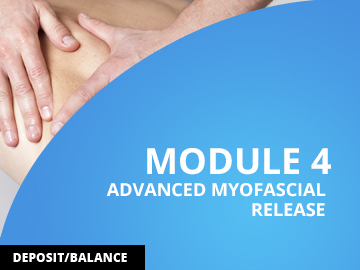 Advanced Myofascial Release makes the transition from classical deep tissue techniques to the more gentle but potentially more powerful techniques of fascial unwinding. Indirect Myofascial Release - three powerful days of unwinding the fascia, the concept and experience of embodiment, the innate wisdom of the human body, and how it self-corrects and the organic consciousness of the body. NOTE: The Module 3 & Module 4 program can be completed in any order.